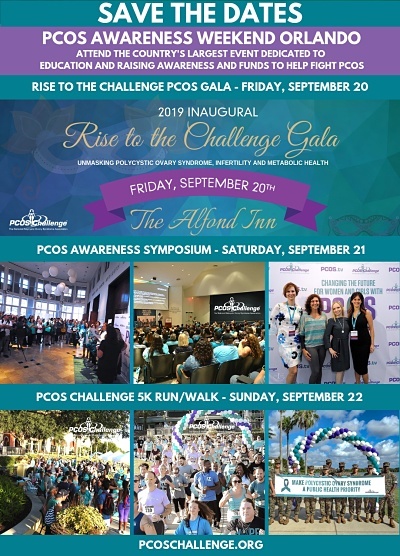 PCOS Challenge: The National Polycystic Ovary Syndrome Association worked with Congressman David Scott (D-GA-13) and 20 other leaders to introduce resolution H.Res.495 in the U.S. House of Representatives. PCOS Challenge also worked with and Senators Elizabeth Warren (D-MA), David Perdue (R-GA) and five other leaders in the U.S. Senate to introduce S.Res.336. H.Res.495 and S.Res.336 recognize the seriousness of polycystic ovary syndrome (PCOS), the need for further research, improved treatment and care options, and for a cure for PCOS. They also designate September as PCOS Awareness Month. This historic and bipartisan effort represents the first time there has been a central focus on PCOS in the U.S. Congress. There has been significant interest in the PCOS resolutions. H.Res.495 has attracted more cosponsors that any other Health resolution in the 115th Congress. PCOS is one of the most pervasive and underserved public health issues that threatens the mental and physical health, and quality of life of girls, women and their families. The disorder can lead to infertility, lifelong complications and the most common causes of death in women including type 2 diabetes, cardiovascular disease and cancer. This resolution is critically important because more than 50% of women with PCOS are going undiagnosed. Awareness, early diagnosis and intervention and research can help to prevent or lessen the complications and progression of serious chronic illnesses connected to PCOS. It is imperative that we make PCOS a public health priority and encourage our respective Representatives to cosponsor H.Res.495. To move H.Res.495 forward and out of committee, your representatives need to hear from you and your family to understand why PCOS is a critically important issue. As a constituent, you have a powerful story to tell about your own experience with PCOS or that of someone close to you. Step 1. Find your Congressperson by entering your zip code and address at www.house.gov. Step 2. Check to see if your Congressperson is already a cosponsor of H.Res.495 (see cosponsor list on the right). If your Congressperson is NOT already a cosponsor of H.Res.495, please personalize the Word document cosponsorship template letter at https://pcoschallenge.org/cosponsor-draft-letter.docx. Step 3. Email your personalized letters to advocacy @ pcoschallenge.org or fax them to PCOS Challenge at (301) 244-9902. We will deliver your letter to your Congressperson’s office. We also encourage you to call your Representative’s office about cosponsoring H.Res.495. Identify your Congressperson at www.house.gov by your address and zip code. . If the health staffer is not available, leave a voicemail with your contact information and the message in #3 immediately above. Continue to follow up and ask your family and friends who live in the same district to follow up as well until your Representative signs on as a cosponsor. Persistence pays off! View the letters of support for H.Res.495 and S.Res.336.